With the ongoing drought across the state, water conservation should be on every Californian’s list of New Year’s resolutions. Most of us will be promising to hit the gym, lose those extra pounds, be nicer to our mothers-in-law and cut back on our favorite vices. Most of us will start out strong, and then move farther and farther from these personal goals as the year progresses. While it might be difficult to keep smiling as your mother-in-law complains or to convince yourself to get up an hour earlier to fit in a workout, making a few simple changes to save water is pretty easy. In fact, you just might find that conserving water is the easiest resolution to keep. To get you started and keep you inspired, here are 20 ways you can save water in the year to come. Pick the ones that work best for you and that you think you can follow through on, or commit to adding all 20 of these water-saving ideas to your list of New Year’s resolutions. Amazingly, backyard swimming pools can lose hundreds of gallons of water through evaporation every month. By covering your pool and reducing evaporation, you could save thousands of gallons of water next year. Fill a bowl or dishpan with just enough water to soak your fruits and vegetables. If they have a tough skin, use a produce brush to scrub them thoroughly. Then dunk them in a second bowl of water to rinse them. Save the water to use later for watering your garden or flushing the toilet. Water used to cook vegetables can also be saved to later fill your toilet tank or irrigate your vegetable garden. Limiting bathing is not an option for most folks, but you can limit the number of baths you take. 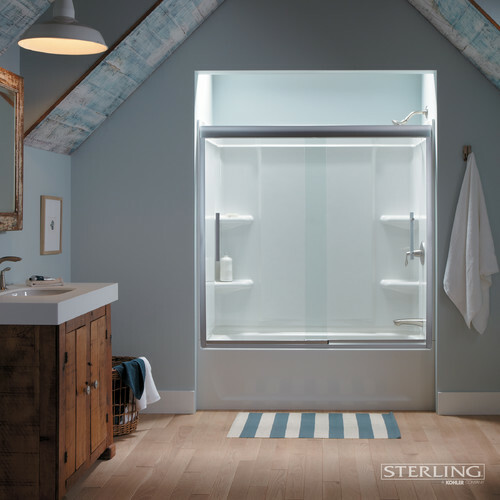 While it may be lovely to sink into a tub filled with hot water and soak away the stress of the day, every bath you take can use more than 50 gallons of water. Taking a shower is a much better bathing option when it comes to saving water. This does not mean that you can never again enjoy a relaxing bubble bath, but it does mean that you should try to limit them to only those days when you really need a little pampering. This one is no surprise and is a water conservation method that is mentioned often. However, most folks do not offer any suggestions on which part of your daily hygiene routine you are supposed to cut out in order to shorten your time in the shower. If you shave your legs, arms or other body parts during your daily showers, try switching to shaving every other day or every three days. If you wash your hair every day, you can shorten your showers by reducing shampooing to two or three times per week. You may also find that your hair is healthier and more manageable, since most shampoos dry out hair. While you are contemplating your showering routine, you may also want to consider replacing your shower head. Unless you have had your shower head for a very long time, it is quite likely that you already have a low-flow device. However, if your shower head is more than a few years old, it is also quite likely that you could replace it with a newer model that is even more efficient. One of the nice things about this type of New Year’s resolution is that you only have to do it once and cross it off the list, and you can save water for the entire year with no additional effort. Insulated pipes lose less heat while water travels through them, which means hot water reaches your shower head faster. This allows you to spend less time warming up the water before you get in, which means less water wasted during this warm-up period. Installing a gray water system allows you to reclaim some of the water used in your home and reuse it for watering your landscaping. This is a great way to save water and lower your water bill, while feeling pretty darn good about doing something significant to help the planet. You will need a permit for this particular resolution. If you live in the City of San Diego, you can visit the City’s website for more information. If you live elsewhere in Southern California, contact your local governing agency to inquire about permit requirements for residential gray water systems. Installing a gray water system is not the only way to reclaim water used in the shower or while washing your hands in the sink. 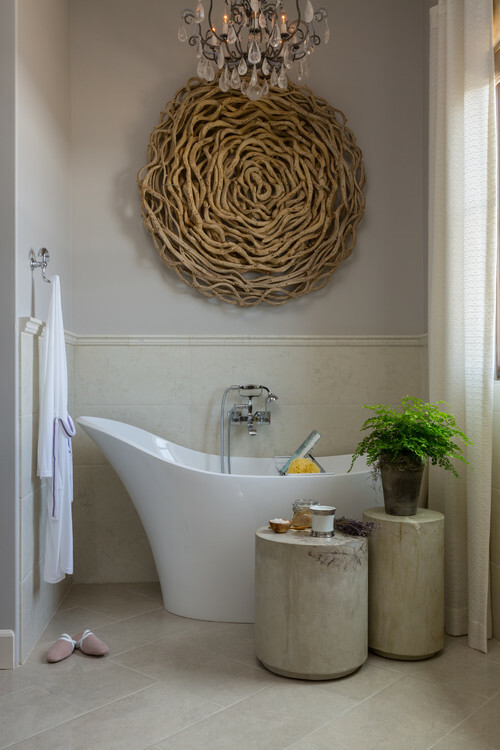 Strategically placed buckets work quite nicely to capture water as you wash your hands or rinse off in the shower. If you plan to reuse this water to irrigate plants grown for food, make sure you use natural, non-toxic soaps and shampoos. Front-loading washers are way more efficient than top-loading models. You can save 10 gallons of water or more every time you do a load of laundry simply by replacing your top-loading machine with a front-loading option. New washing machines can be quite the investment, but you may be able to find a gently used model listed on an online classifieds website for a fraction of the cost of a new one. Plus, a new washer might be a nice gift for yourself as a reward for finally keeping your New Year’s resolutions this year. Keep in mind that you may also qualify for a rebate if you replace an older machine with a high-efficiency model. Modern toilets are much more efficient than their earlier counterparts, but you can save even more water by opting for a high-efficiency toilet. This is another resolution that you only have to do once to reap the benefits for years to come, and it is another one that can land you a nice rebate for taking the initiative and making this water-saving change. If a high-efficiency toilet is not in your budget right now, you can save water by flushing only after every few uses that involve only liquid waste, instead of after each use. Rain barrels are now just as fashionable as they are functional, and you might be surprised at just how many options there are on the market. It is now easy to find an attractive model that will harmonize with your home or landscaping, and most options are actually pretty affordable. They become even more affordable when you take advantage of this being yet another water conservation method that is eligible for a rebate. Rain barrels are a great way to capture rain for later use during times of drought. Check your shower heads, toilets, indoor faucets and outdoor faucets for leaks. This can be a major water hog that homeowners do not even notice, but if you find and fix any leaks at your home, you could see some significant water savings right away. 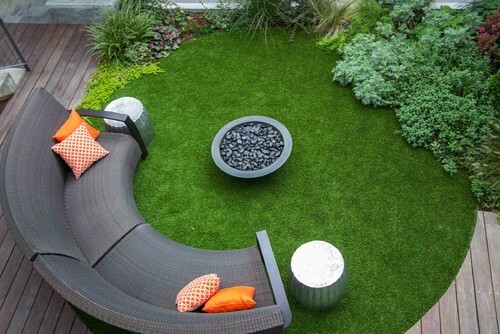 Conventional lawns are one of the most water-wasting features of modern homes. You can save tens of thousands of gallons of water every year by removing your natural grass lawn and replacing it with native plants, drought-tolerant ornamental grasses, artificial grass or non-living ground covers. While removing a conventional lawn and replacing it with synthetic turf or native plants may seem like a big, expensive project, keep in mind that homeowners can use Home Energy Renovation Opportunity (HERO) program loans to make this type of eco-friendly home improvement. Washing a full load of dishes in a dishwasher can save more than 10 gallons per load as compared to washing them by hand. 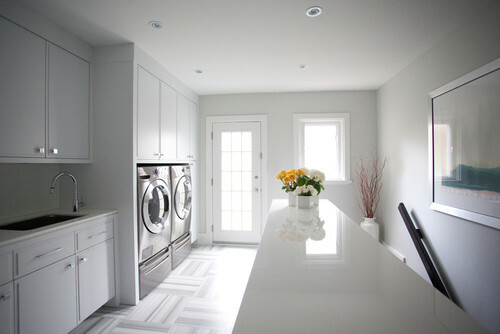 You can save even more if you opt for an Energy Star dishwasher. If you have large pots or pans, it is often better to wash that single item by hand so that you can fit a larger number of smaller items in each load. Just make sure you do not leave the water running while you are scrubbing it clean. By avoiding the consumption of meat just one day each week, you can save hundreds of gallons of water each year — or even each month, depending on how much meat you normally eat. You can save even more by cutting out dairy one day each week as well. Replacing grass walkways with durable, attractive paving stones can help you save water while also improving your outdoor living areas and potentially increasing the value of your home. Paving stone walkways will look beautiful for many years to come and, as an added bonus, provide a slip-resistant surface for your guests, children and pets. Native plants have evolved to thrive in Southern California with little water and minimal care requirements. This means that including natives in your landscape design results in spending less time on ongoing maintenance, as well as lower water bills. 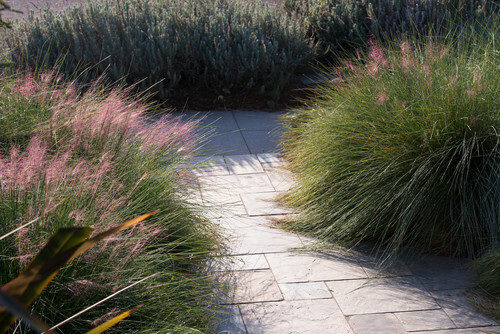 With the wide variety of native plants that do well here, you will not have to give up texture, color or overall visual appeal to create a low-water garden for your family and guests to enjoy. A simple, inexpensive rain sensor will automatically shut off your irrigation system when it rains, which helps you water more efficiently. This is the type of water-saving resolution that you only have to do once, and then you will automatically benefit from it every time it rains with no additional effort on your part. These are sometimes called water surveys or, in San Diego County, they are called WaterSmart Checkups. Check with your water provider to see if they offer low-cost or no-cost water surveys in your area. If so, schedule an appointment for one of their water-saving experts to come to your house to educate you about easy ways to save water at home as they also look for leaks and make suggestions for water-saving changes you can make. Some programs even provide participants with free products, such as low-flow shower heads. If you do not live in an area that offers free water audits, you can go online to read articles or watch videos showing how to do your own audit. Perhaps the most important thing you can do to save more water at home is to make a resolution that you will take a good, hard look at your personal water usage and see where you can make the most significant changes. You might already be brushing your teeth without turning the water on, but once you start paying attention, you might notice that you have a bad habit of letting the water run while you shave or that you rarely wait until you have a full load to wash clothes. Paying attention to how you and your family use water in your home will help you come up with the most effective ways you can make simple changes that can have a big impact. What water-saving New Year’s resolutions will you be making this year?